To everyone here and around the world who has written and shared their memories, thank you! As much as I would like to personally write back, it has become more and more difficult as time goes by. However, I do get to read your emails and letters and they are very much appreciated! Also, thank you so much to all who have written to say how much you've enjoy seeing me then, as well as now, in the released DVDs of the show. I'm very happy to hear that and it brings me a smile! Again, thanks to all! 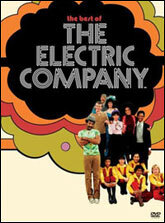 Working on the Electric Company from its pilot through the last day of taping years later was one of the most enjoyable experiences of my career. Not only was it so much fun to be a part of the Short Circus, singing songs from brilliant composer Joe Raposo who wrote many wonderful tunes such as "It's not so easy being Green" and "Sing", it was great to play in all the different skits. Looking back, I really appreciate all the times I was on set with the actors and production crew, getting to do funny stuff with masters Rita Moreno and Morgan Freeman too. It was a wonderful learning experience and lots of fun! One of the joys of being on the show was knowing that it helped kids learn to read. I also got to see first-hand how the show was making a difference in writing skills. I remember receiving fan letters from a few kids who would write me all the time and I'd see their spelling and grammar improve with every letter. It was a great feeling to know that our show was doing what it set out to do. Who would've known that a half hour show could change someone's English skills in a way that was fun! I'm very proud to have been a part of that. People write now and ask if I keep in touch with the other cast and crew members. Throughout the years I've lost touch with some, but I am still friends with others. Everyone has gone individual ways, but to those that I still do have contact with, even if we don't see each other often, when we do, it's like old times. I was taken to the studio where Sesame Street is taped and I was so happy to see many Electric Company crew people there working. People I haven't seen since I was a child, music people, cameramen, stage managers, etc. working behind the scenes in production. They saw me now all grown up, but they told me I still looked like me! They had followed my career and had seen me on Broadway or on various tv shows, so they felt that they had still kept in touch with little "Julie". It was a great reunion! I guess working with the same people day after day week after week for 6 years, you form a bond that will always be remembered. 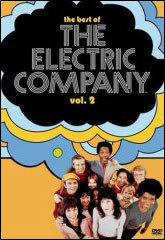 Sometimes, I meet new people and they find out that I was on Electric Company. They tell me that they grew up with the show and then they start singing the theme song. That's always fun. I'm glad to know that people remember the show so fondly and I'm very happy to have been part of it!